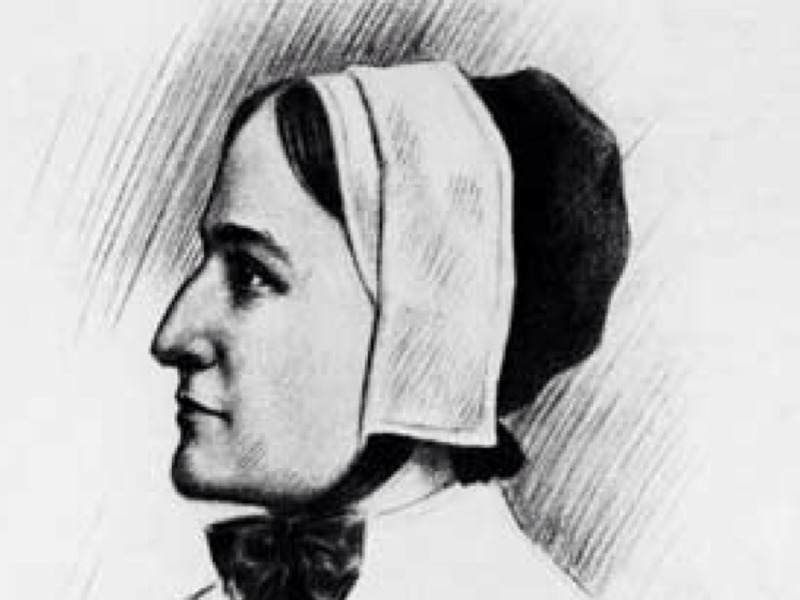 In 1634, Hutchinson voyaged from England with her husband and settled in the Puritan Massachusetts Bay Colony. Here, Hutchinson conducted weekly religious meetings of Boston women. Hutchinson began giving voice to her own theological views, which included the principle that individual religious inspiration and insight trumped sermons or biblical knowledge. The Puritan establishment found this heterodoxy unacceptable, and banished her in 1637. With some followers, she settled part of Aquidneck Island in Roger Williams’s Rhode Island in 1638. She moved in 1642, to Long Island, near present Pelham Bay, New York, where, in 1643 she, together with all but one of her children, was killed by Indians. Some in Puritan Massachusetts claimed this as a divine judgment against her. Modern Americans view Hutchinson as an early champion of religious liberty and even a precursor of feminism.